Giovanna eye mask is hand made with faux diamonds. 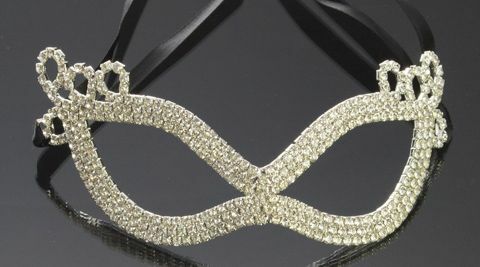 This mask is great for any black and white ball or upscale masquerade event. Comes with black ribbon ties.